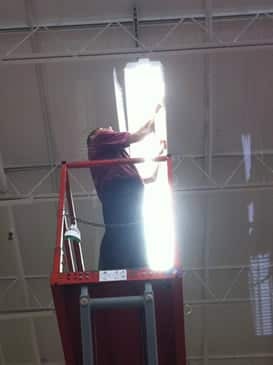 Marbin Electrical Services provides lighting maintenance for all commercial customers including retail stores, warehouses, office parks, exterior parking lots, etc. We are proud of our ability to properly maintain our clients’ lighting needs which provides them with better energy efficiency and financial savings. With on-site lighting index surveys, we are able to determine how much light is distributed per area and the replacement of lamps and ballasts per property on a real time basis. Our lighting maintenance program complies with the strict guidelines set forth by the Environmental Protection Agency as well as OSHA standards by properly disposing of used lamps and ballasts through recycling programs.